It's that time of year, again. We're just a few weeks away from the birthing season for urban wildlife, like squirrels, skunks and raccoons. Before it's too late, homeowners should have one last look around their property for signs of unwanted guests, because, once babies arrive, getting rid of the animals becomes much more difficult. Not impossible, just a lot more work! 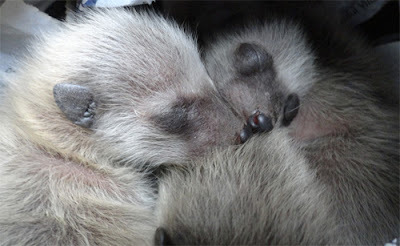 Baby raccoons in a reunion box waiting for their mother. 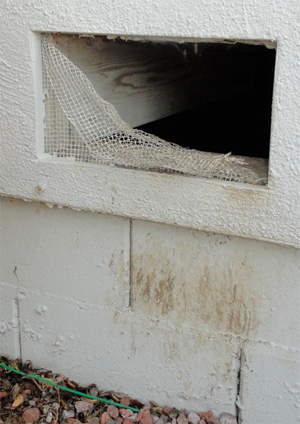 Signs of an intrusion include ripped siding, pulled back screens, missing vents, and holes leading under a structure's foundation. If openings are found, residents should not seal up the gaps, as this risks entombing animals inside, but instead, contact a professional company that will focus, not on the animals, but their access points. The animals are not the problem, they are a symptom. The real problem is the reason the animals have invaded, which is either food, shelter, or both. When we take these things away, the animals leave. 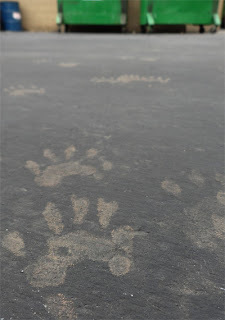 There will always be squirrels, skunks, opossum, raccoon and coyote residing in or near populated areas. That's why trapping and killing wild animals is not a long-term solution. Trapping is an outdated practice that removes a few individual animals, but does nothing to permanently solve the problem. Even if they were all eradicated at once, more would come, as the urban landscape is a niche - a modern ecosystem that can support a number of wild creatures, and therein lies the key - how many? 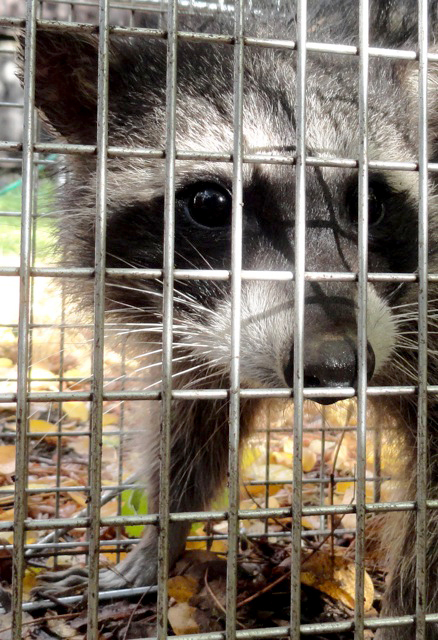 Urban wildlife populations can be controlled sustainably by limiting their access to food and shelter. For example, shoring up holes in buildings, making sure garbage bins are shut, and that no pet food is left outside. For those with small pets or livestock, their enclosures must be built, not to keep them inside, but designed to keep predators out. If communities would make a concerted effort to do these things, they would surely see a reduction in wildlife conflicts. Trapping, though, is not the answer, for many reasons. In California, relocating trapped wildlife is prohibited. Relocation spreads disease among wild populations, and research has shown that many relocated animals meet their demise as they try to return home. 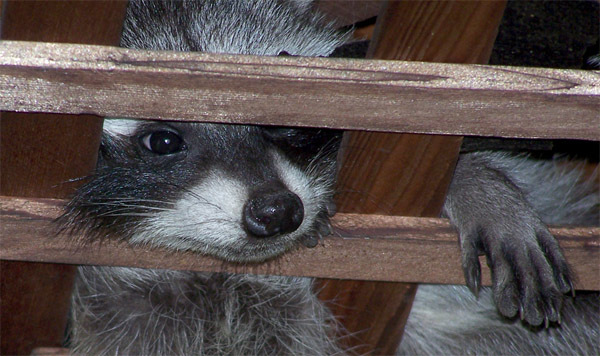 In California, then, legally trapped nuisance wild animals must be released on site or destroyed. Lethal control will be futile, though, and in some cases - like with coyotes, it can cause a species to have greater and larger litters. What is effective in protecting people, their pets and their property, is working with resident animals to solve specific problems permanently. Sustainable methods include eviction and exclusion from structures, aversion systems, and use of non-harmful repellants. In and around the Bay Area there are only a handful or service providers, specializing in non-lethal wildlife control, including A Wildlife Exclusion Service, serving Sonoma and Napa counties, WildCare Solutions in Marin, and Humane Pest Control, serving the Peninsula and the East Bay, south, including Monterey County and portions of Los Angeles. These businesses can be contacted directly or through our California wildlife referral hotline at 1-866-WILD-911, extension 2. 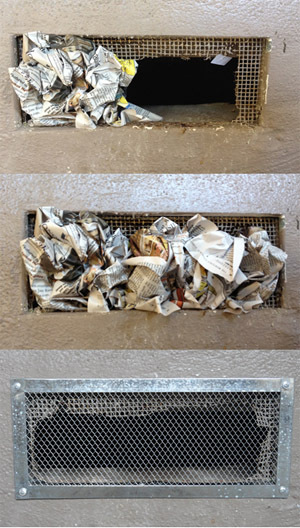 In the meantime, for residents who locate a breach in their home, like a broken subfloor vent, we have a simple method to confirm the presence of a nocturnal animal and a trick to getting them to move on. Give us a call at 855-548-6263 for a visit or over-the-phone consultation to receive this information. Please note, in California, anyone trapping 'nuisance' wildlife must comply with applicable local and state regulations. Traps must bear a number or identifying mark registered with the Department of Fish and Wildlife (Title 14 CCR Section 465.5 f 1). A person proposing to set a trap within 150 yards of a habitable dwelling (other than their own), must first acquire written consent of those surrounding homeowners (Title 14 CCR Section 465.5 g 3). Traps must be inspected and animals removed at least once in 24 hours. It is not enough that someone is annoyed with wildlife on their property, they must show damage to crops or property before fur-bearers or non-game mammals may be taken under Fish and Wildlife Code 4152, and then, only the animal(s) causing the damage may be taken - non-target animals that are inadvertently trapped must be released. Trapping is not the answer!